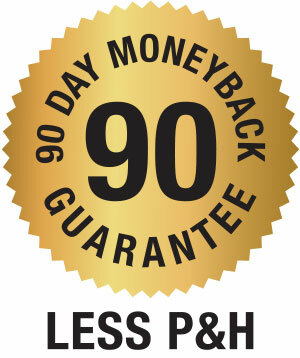 Your order is covered by our 90-Day Money Back Guarantee which starts upon your receipt of your order. If for any reason you would like to replace or return your product within 90 days of purchase, call customer service at 1-973-287-5149 to receive a return merchandise authorization number (RMA). With this RMA, you can return your items to the address provided below for a replacement and incur no additional processing and handling fees for the replacement unit or refund of your purchase price, less processing and handling. You are responsible for the cost of returning the product.